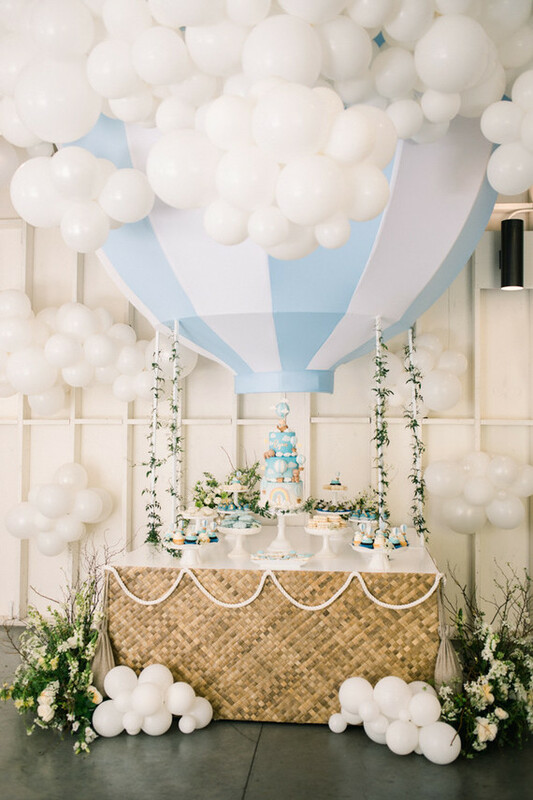 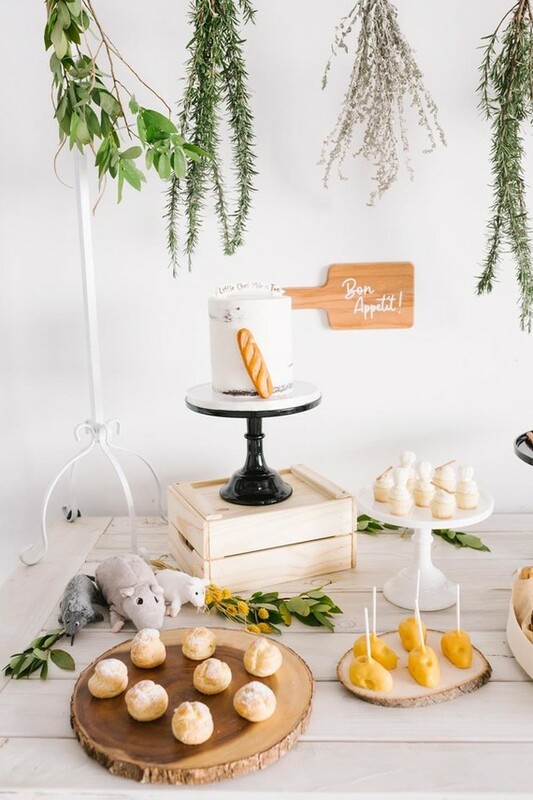 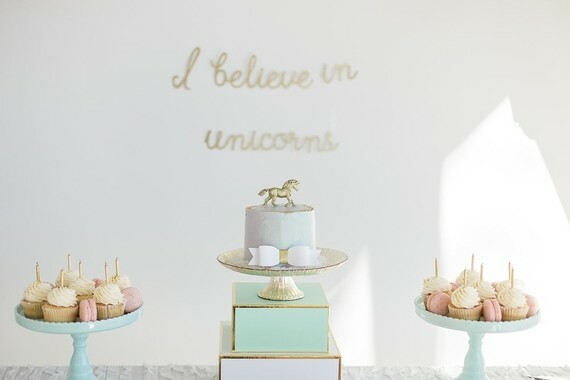 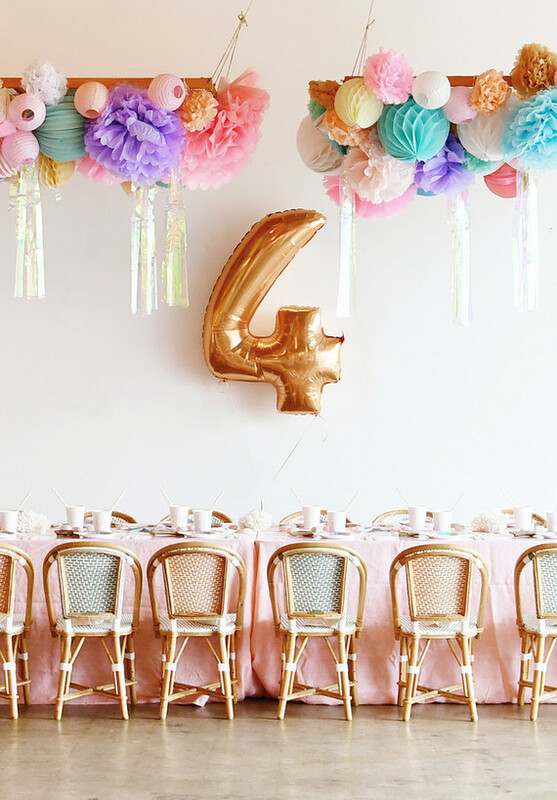 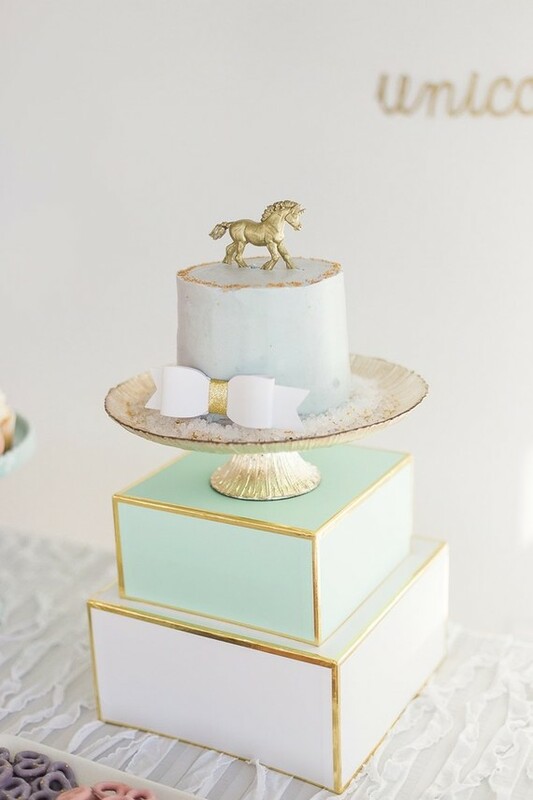 When it comes to a classically adorable theme like a unicorn party, we sooo love discovering what the crew behind it did to make it super unique and really, really special. 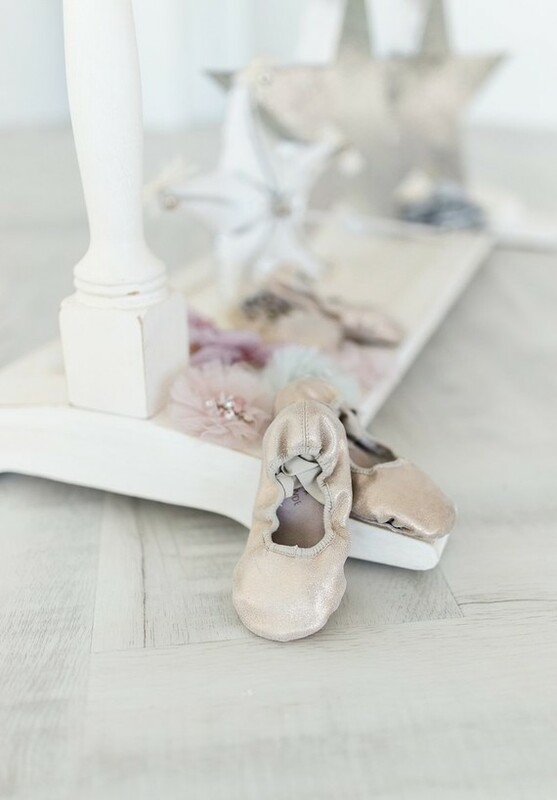 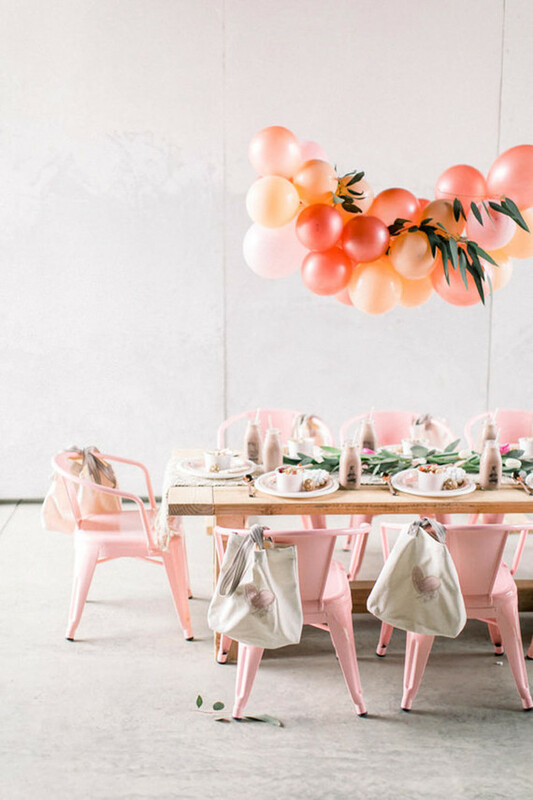 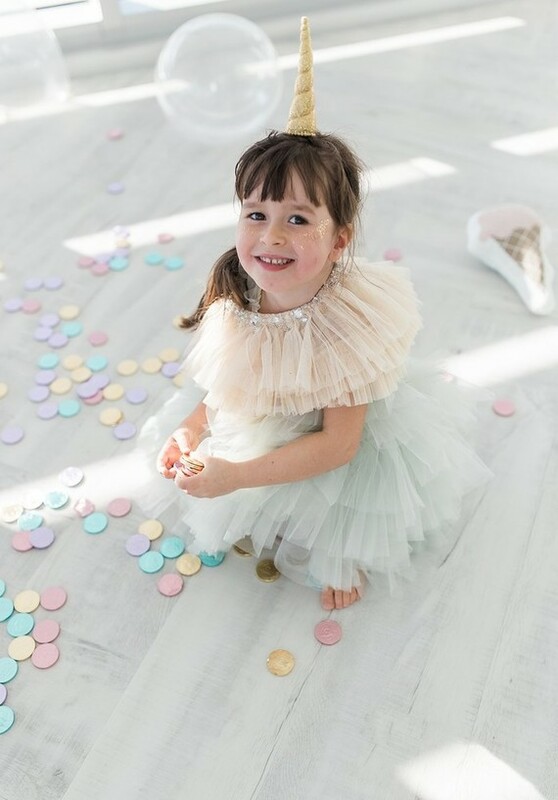 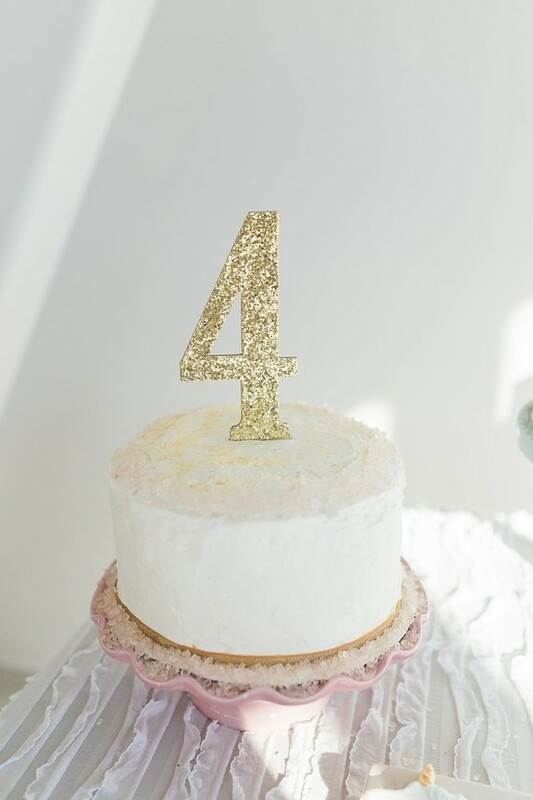 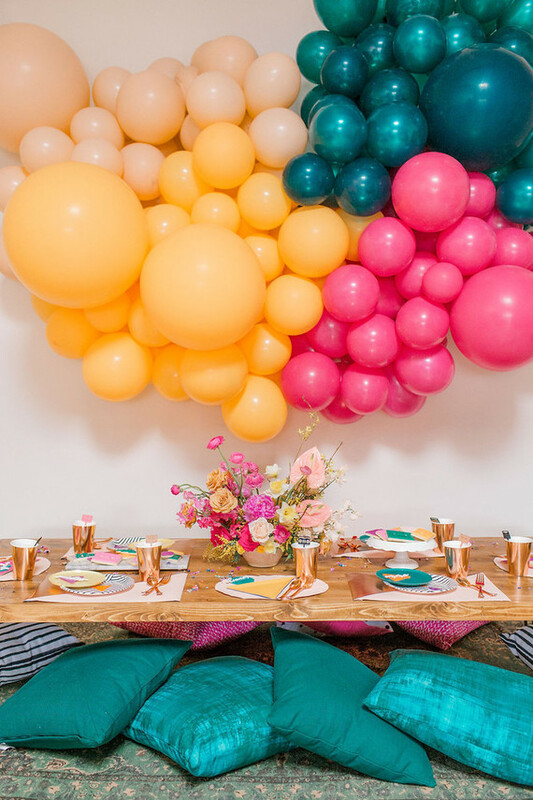 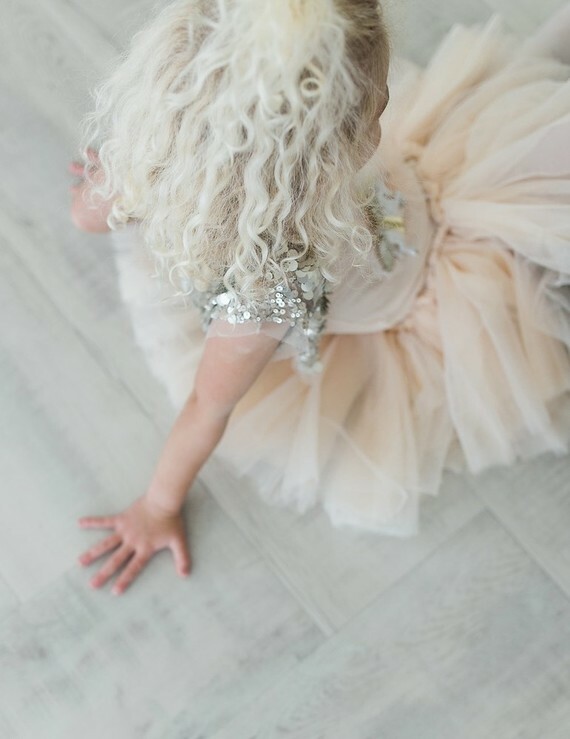 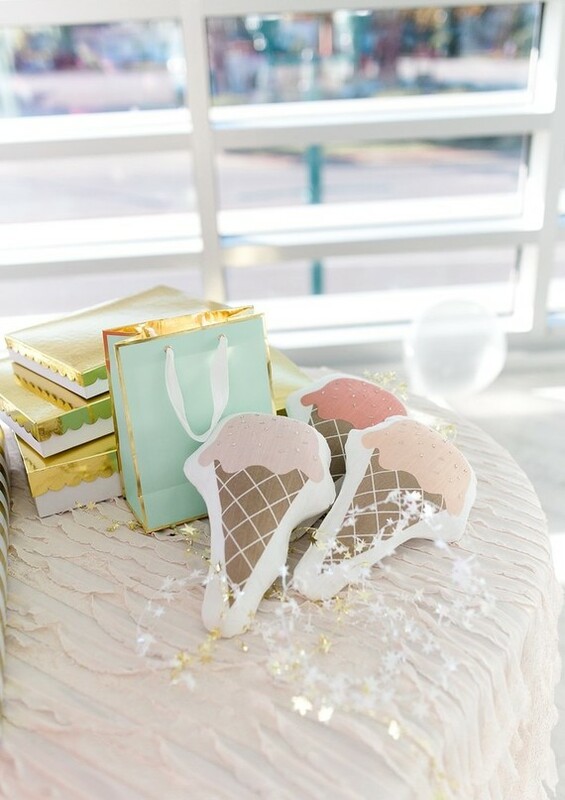 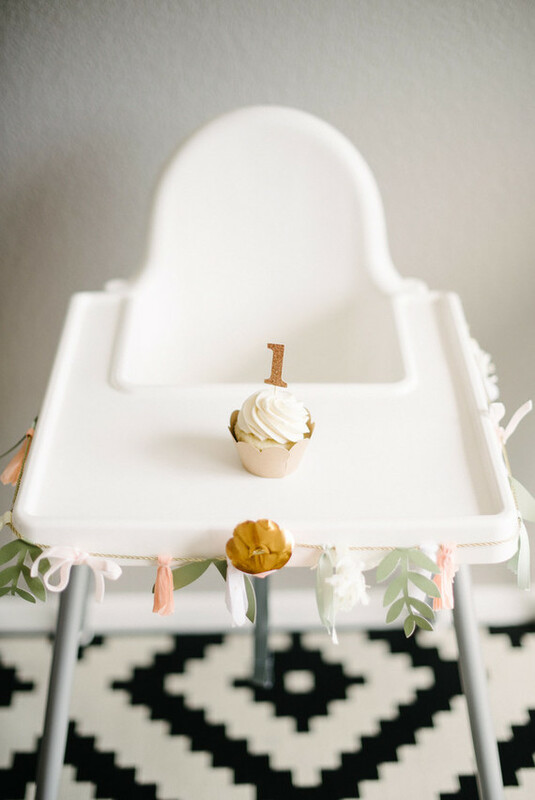 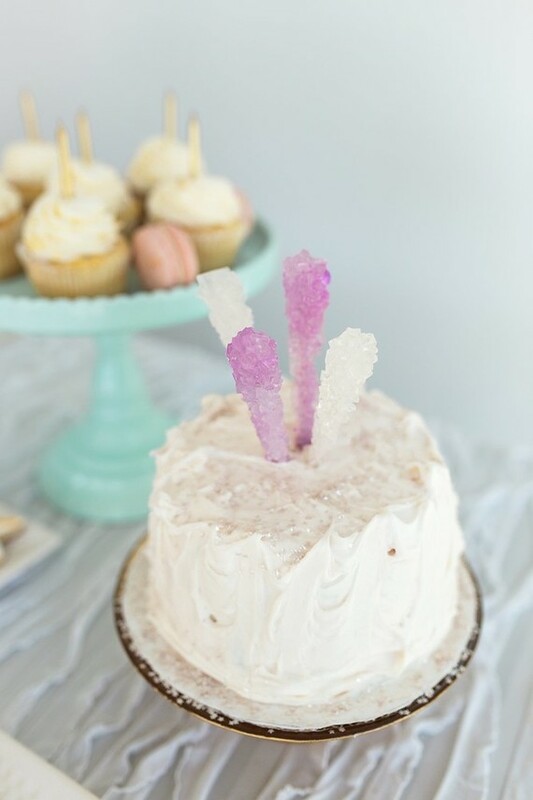 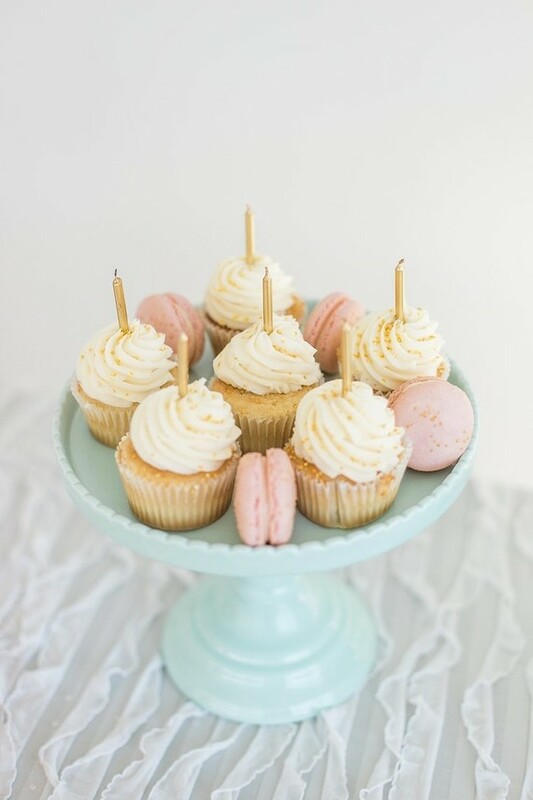 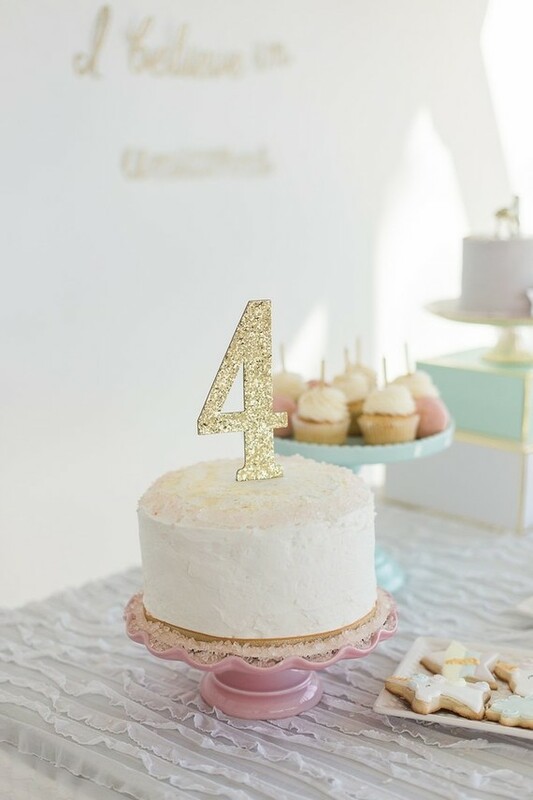 In this party captured by Lauren Peterson Photography, Emma of The Borrowed Boutique swapped rainbows for pastels and added tons of fun elements for her little gal Ayla’s party. 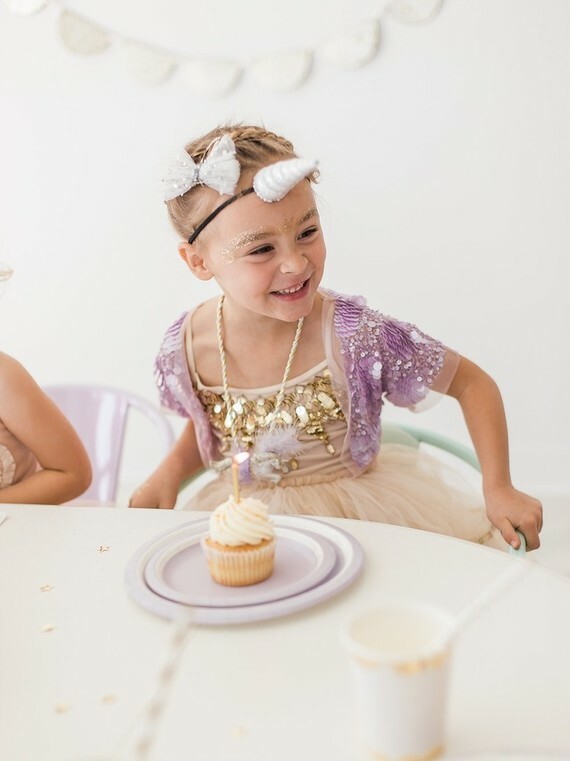 Is anything more fun for a four-year-old and her friends than dress up, face paint, coloring, and glittery sweet treats?! 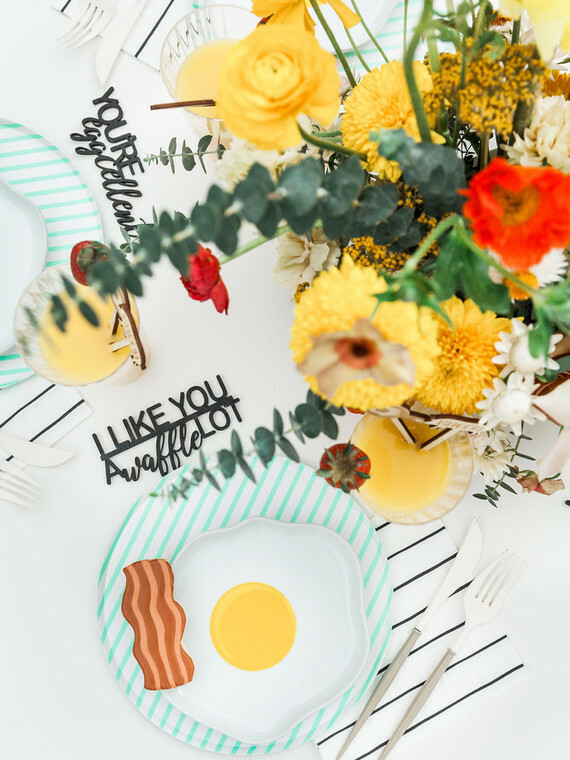 Umm, no, we say. 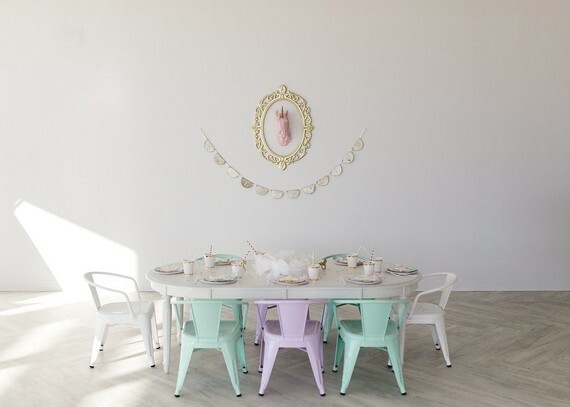 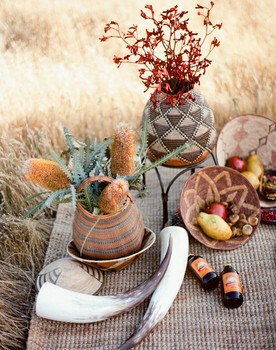 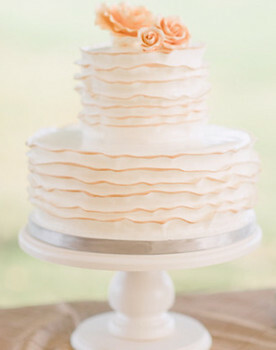 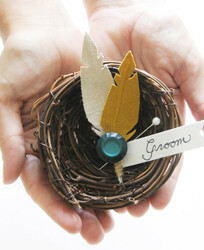 Whimsical AND chic, we dig it. 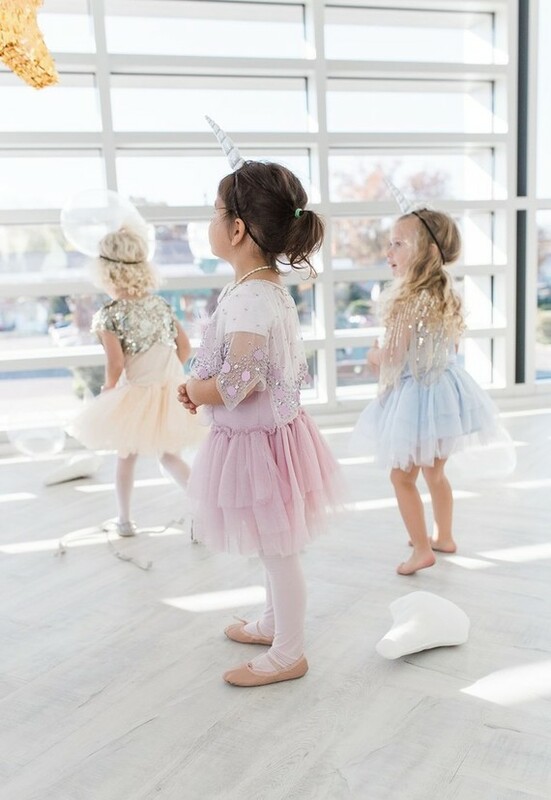 Emma says, Each little girl was able to transform into a unicorn princess with our Tutu du Monde dress, matching Modern Queen Kids Accessories necklace, ballet slippers, and of course an adorable unicorn horn headband. 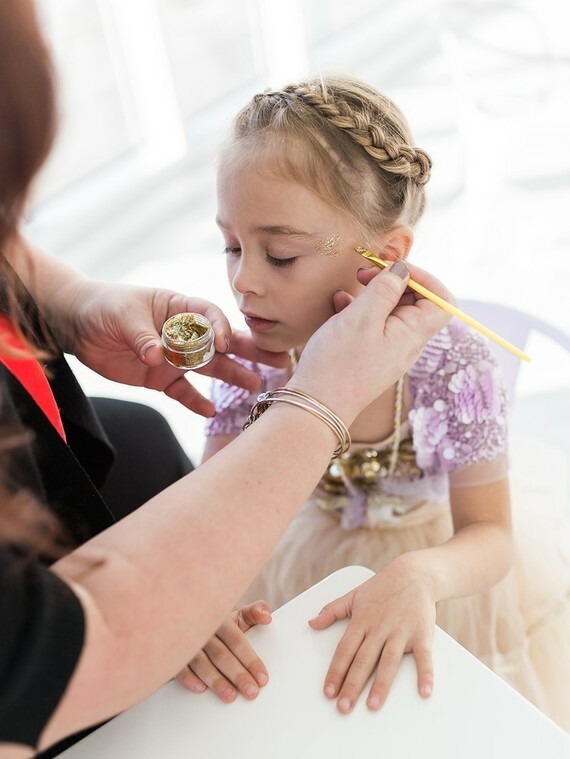 Our face painting station was filled with magic! 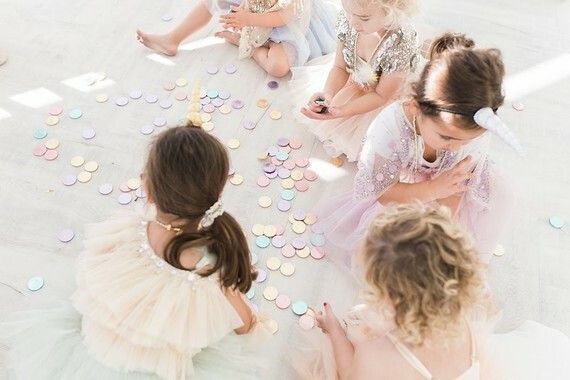 In addition to gold, silver or iridescent face paint, we also had star crystal decals as skin decorations for each girl’s face or hand. 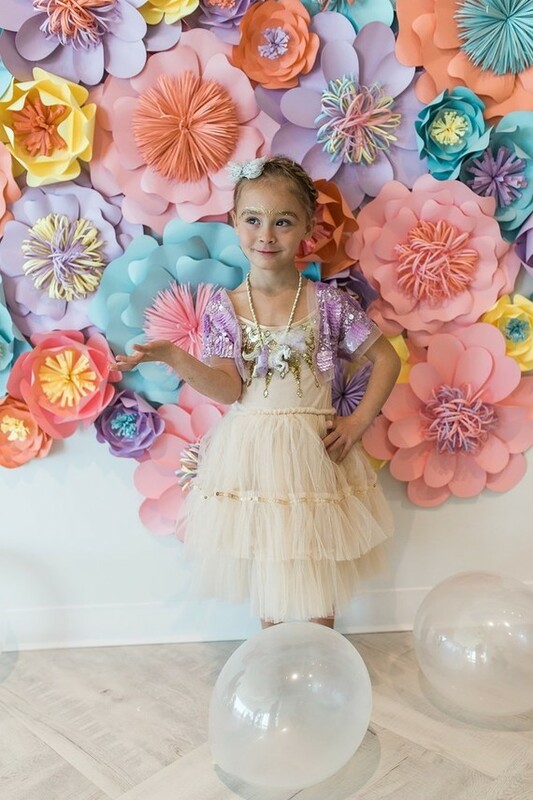 Quite seriously dress up at its finest, here! 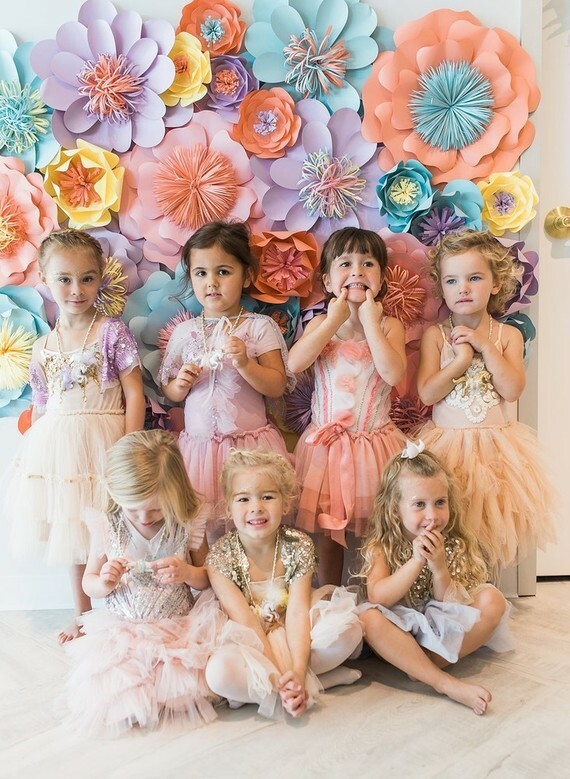 They even had a custom paper flower wall by A Paper Event for the newly adorned girls’ to pose in front of. 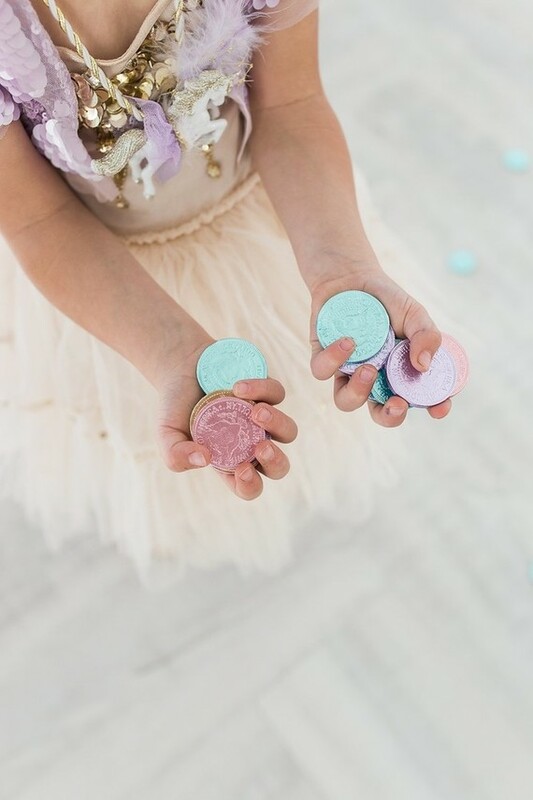 After dessert, the girls headed to the star piñata and dashed for all the colorful chocolate coins pouring from the sky. 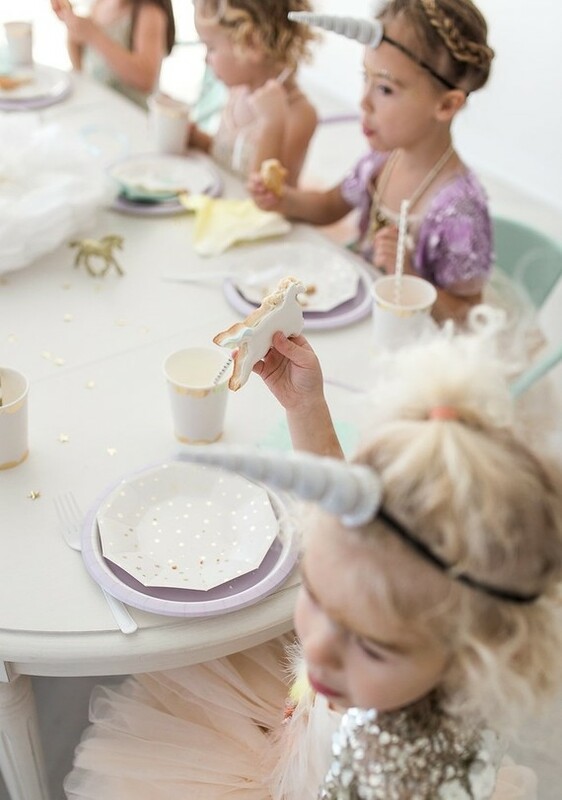 And their goodie bags had Uni the Unicorn, unicorn stickers + coloring sheets, unicorn-themed trail mix, a figurine, pastel nail polish, star shaped bubble necklace, pastel lip gloss, and those Meri Meri paper unicorn horns. 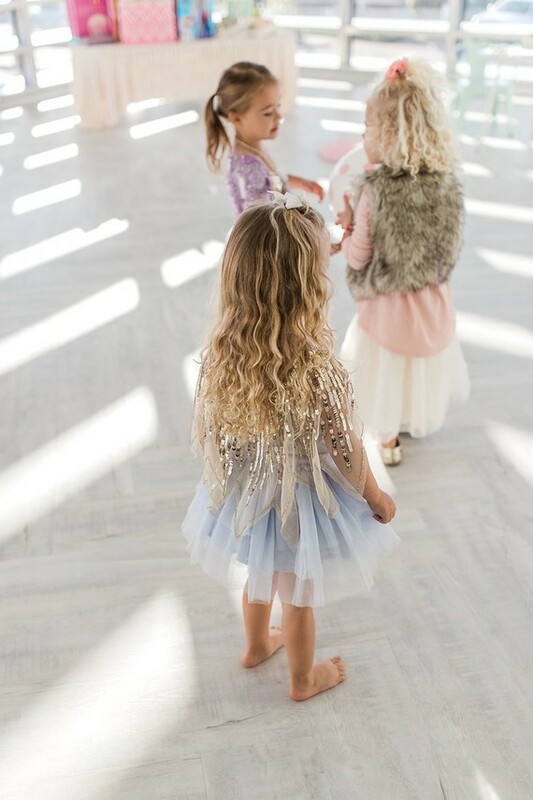 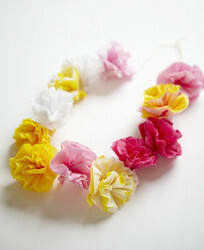 We offered a variety in each girl’s size so that she could truly wear something that she adored. 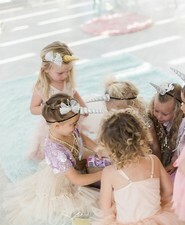 After getting dressed up the girls were free to head to our open craft and puzzle stations featuring yet more unicorns! 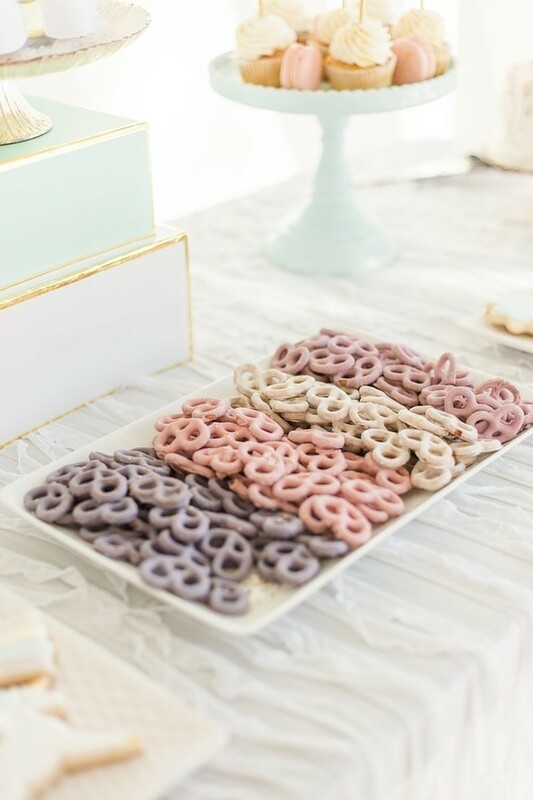 But, the candy table was just too hard to resist. 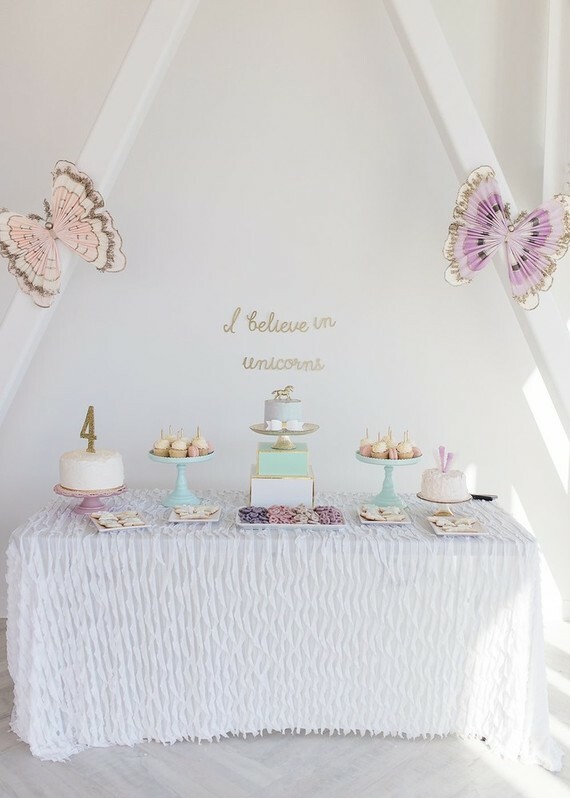 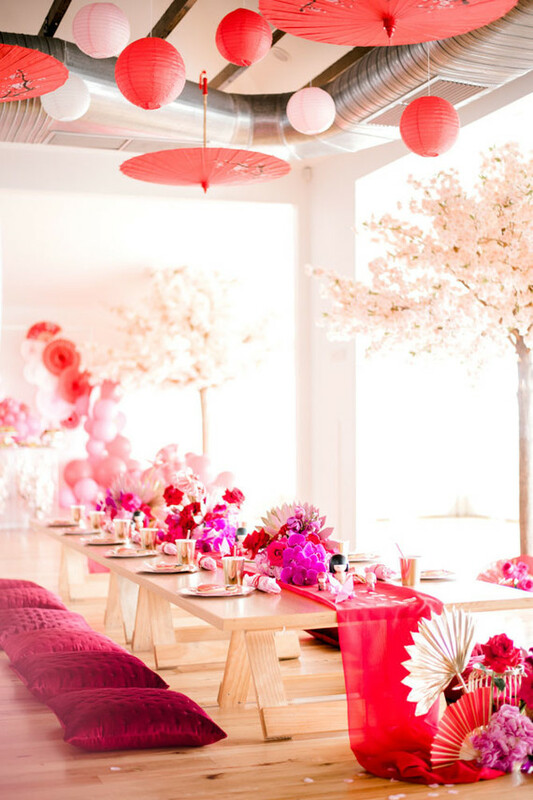 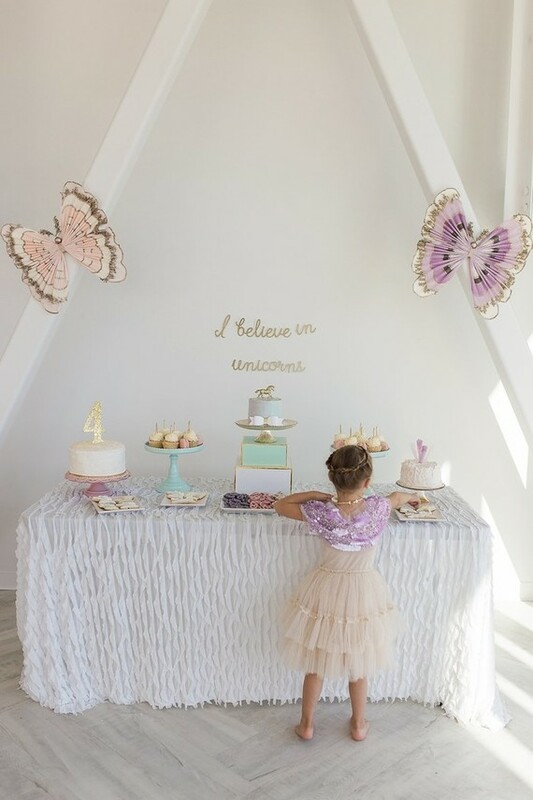 Before long, all of our little guests headed to our large white table, adorned with white floral puffs, golden unicorn figurines, star glitter, and overshadowed by a stunning pink unicorn on the wall. 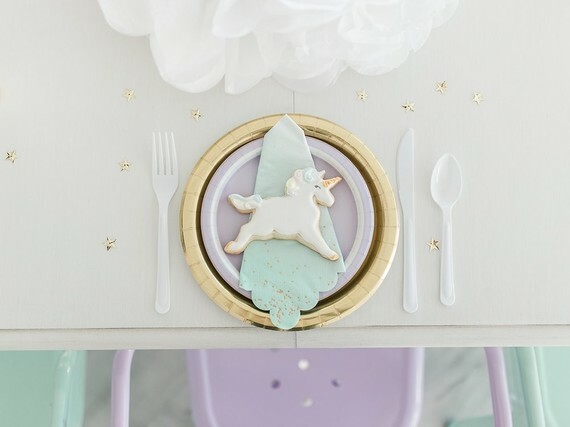 At each place setting we had colorful industrial chairs, and a matching unicorn sugar cookie on each plate. 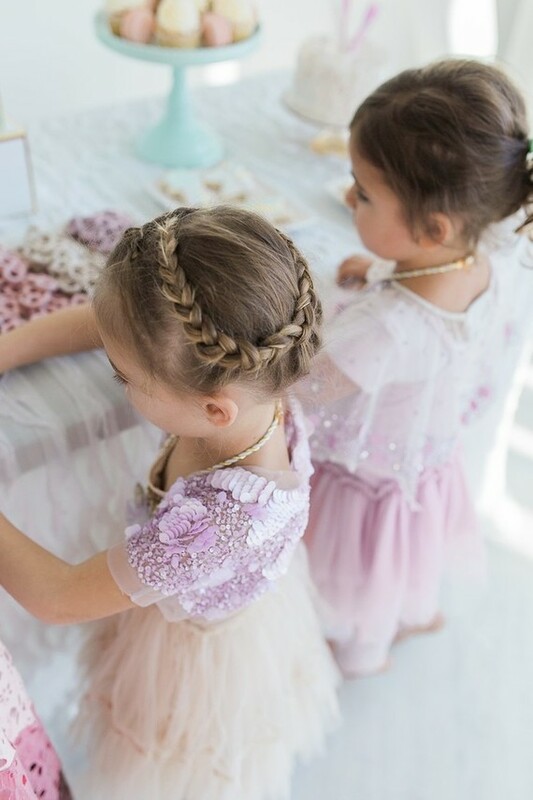 The girls could choose between white or strawberry milk and raspberry lemonade and as many treats from the candy table as they pleased. 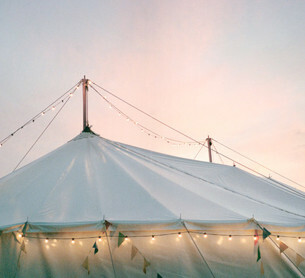 BEYOND fun. 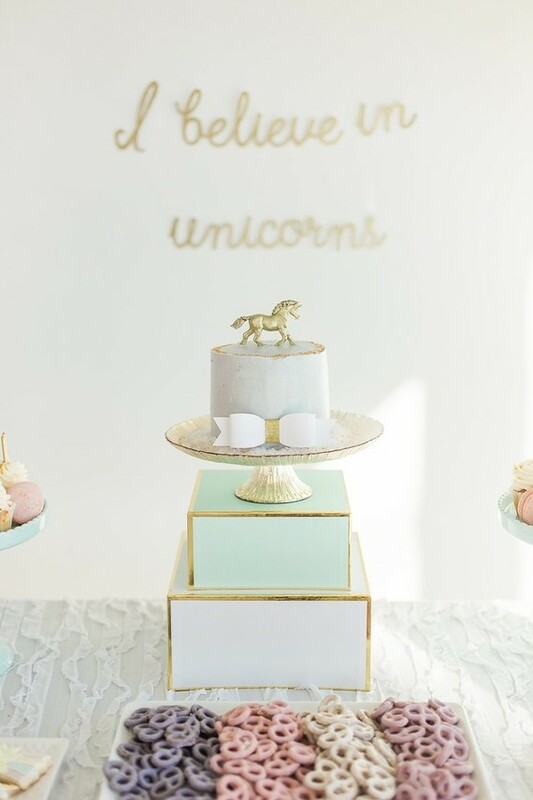 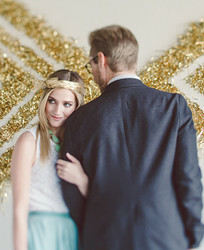 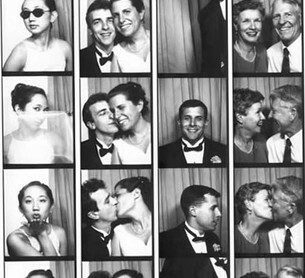 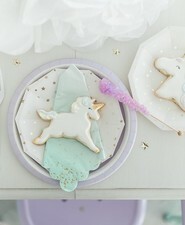 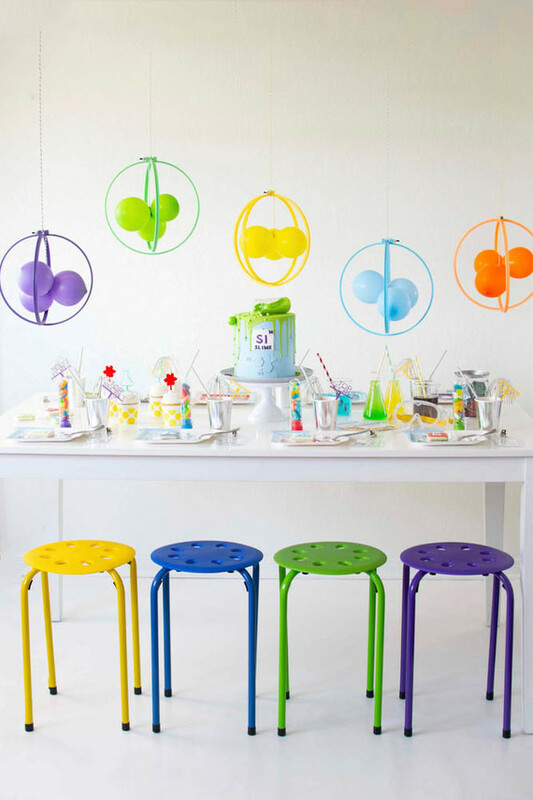 See everyone involved in this incredible party below and find more unicorn party ideas here.